Have you ever wanted to know more about the wonderful world of Taxidermy? 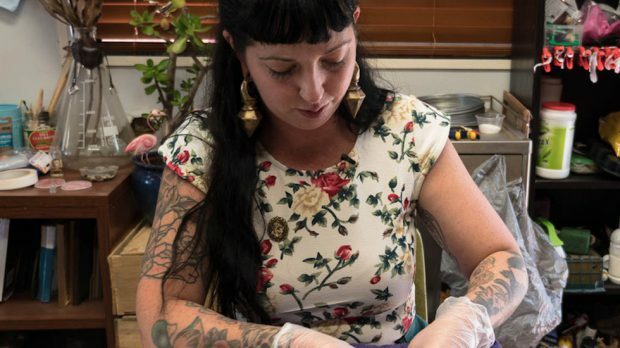 Let local taxidermist artist Hayley Walker take you down the rabbit hole to explore the history and importance of this art form for the world and in her life in A Tail of Taxidermy this FRINGE WORLD. You’ll be privy to a short demo, will be able to view an exhibition of her works and can engage in a Q&A session. Catch her at The Main Bar in Wolf Lane from Tuesday, January 29 to Thursday, January 31 from 7.00pm. Get more info and tickets here. 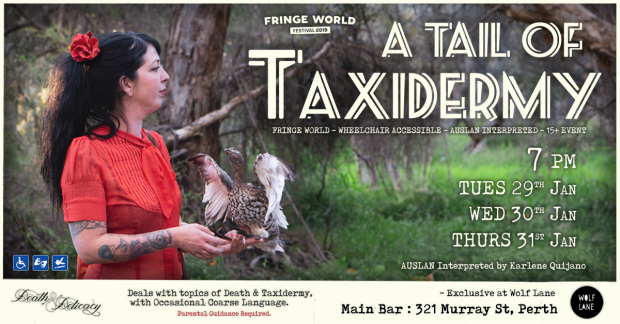 We’re stoked to have 2 double passes to giveaway to A Tail of Taxidermy on Tuesday, January 29. To enter simply email us here at win@xpressmag.com.au with TAXIDERMY in the subject line then comment your most creative taxidermied animal combo on the Facebook post (eg: Cowngaroo, Snebra, Ti-gerbirl…illustrations are encouraged!) Don’t forget to like the X-Press Facebook page and sign up to the newsletter to be in the running! Competition closes Monday, January 28 at 5pm. Please only enter if you can attend. You must be a Perth, WA resident and able to attend at The Main Bar in Wolf Lane Garden on January 29.